Deaths are inevitable. They often come as a shock to the system and remind everyone of the transience of life. 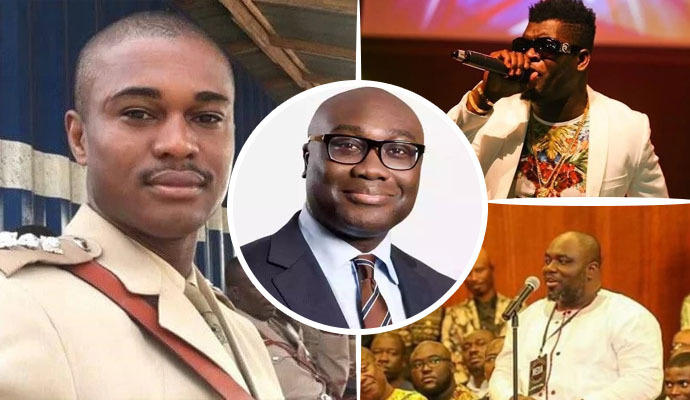 Here are 11 popular Ghanaians whose deaths were so shocking that they shook the nation out of its foundations. In May 2017, the death of Major Maxwell Mahama, an officer of the Ghana army, shook the nation. The disappearance of the "Toffee" and "Boneshaker" hitmaker has been met with deep sorrow and pain by many Ghanaians. The popular journalist and football commentator died in May 2017 after a fierce battle with cancer. He was 42. His death was painful for many Ghanaians because he initially beat the cancer and shared a testimony with the nation to that effect. However, the disease resurfaced a few years later and ended his life. The budding dancehall artiste died at the 37 Military Hospital after being involved in an accident on The Accra-Tema Motorway. His death plunged the showbiz community into a state of pain and sorrow. Kofi, a marketer with Accra-based Citi FM died in 2015, after three months of marriage to his wife. His death became national news after leaked audio tapes suggested that his wife was having affairs with other men for money. The popular broadcaster with Asempa FM died on Saturday, November 18, 2017. He was reportedly rushed to the hospital after falling unconscious. It is not immediately clear what led to his death, but he was believed to be diabetic. He was 37. May the souls of these great Ghanaians rest in perfect peace. What do you make of this? Let's have your views in the comments section below.